Have your starter be the talk of your next get together with this fast and easy recipe. Works great with scallops as well. In a large, glass bowl, stir together the olive oil, lemon juice, parsley, garlic, black pepper, and sweet red chili sauce. Add prawns and toss to coat. 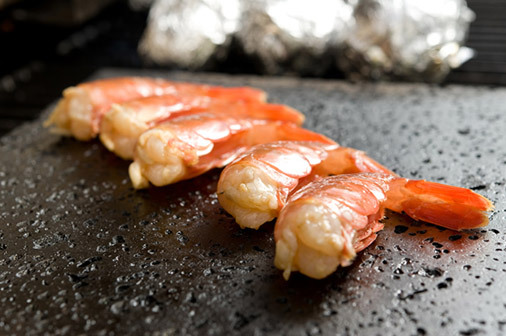 Preheat the Grillstone to 400˚ F.
Grill skewered prawns for 2 to 3 minutes per side or until opaque.